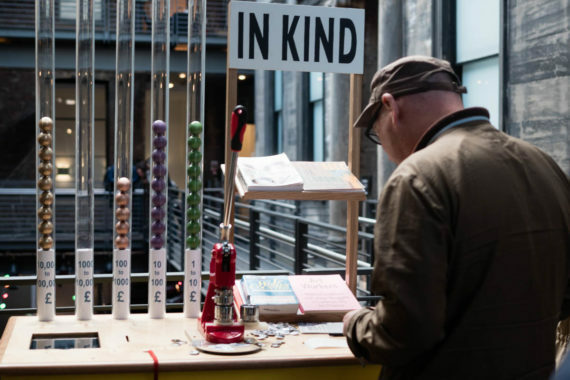 During this year's Glasgow International, artists Ailie Rutherford and Janie Nicoll presented In Kind, an action research project using the festival as a case study in order to chart the "hidden economies of the visual arts". Fellow Glasgow-based artist Jessica Ramm finds out what they discovered and ponders where to go next. Ailie Rutherford is having a busy day. From the moment she enters the room she speaks with urgency, running one sentence into the next, barely pausing for breath. Janie Nicoll is softly spoken, but just as passionate about her work. Until last year she was president of the Scottish Artists Union, a voluntary role that has shaped her approach as an artist and provided a platform for wider discussion about the issues that affect artists at work. 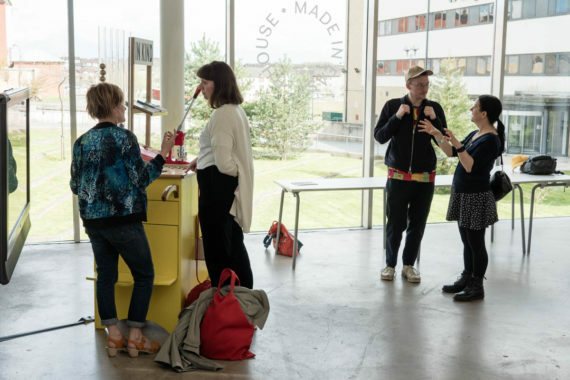 Together, the pair have been working on In Kind, which Nicoll describes as “an action research project that uses Glasgow International as a case study in order to chart the hidden economies of the visual arts”. 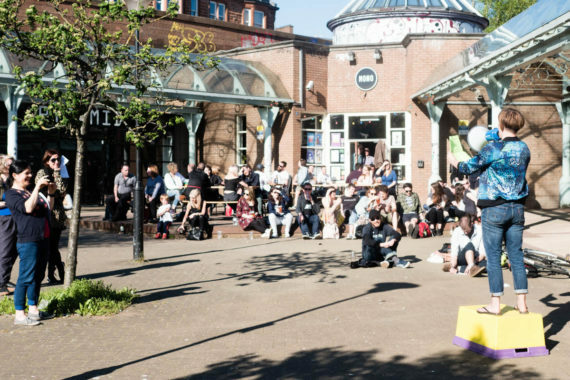 The project developed organically from conversations with artists who participated in the 2016 Glasgow International festival. As Nicoll and Rutherford talk about their shared passion for both activism and art, and the difficulties of being paid for these types of work, they are surrounded by objects they have made that represent numerous unpaid hours – not just their own, but all the artists who participated in In Kind by logging their unpaid hours on a digital database. A large ball of red twine is balanced on a chair and a bar chart made out of table tennis balls sits on top of a hand-cart, which they wheeled between the conferences and soapbox events they delivered across the city during GI. It has been a time of intense conversations and long hours for both artists. Over 50 people contributed to their data analysis, which is enough to act as a representative sample of the total number of people who participated in GI, in theory at least. Using estimates to calculate totals, they price the unpaid labour provided by artists as being worth £1.6 million, which – according to statistics provided by GI – is the same amount of money that is brought into the city in revenue during the festival. For Rutherford, who has developed her ideas about alternative economics through previous projects such as The People’s Bank of Govanhill, it comes as no surprise how little of this revenue trickles down into artists’ pockets. She references feminist economist J. K. Gibson-Graham’s concept of the economy as an iceberg, which illustrates “the absurd way the capitalist economy operates” since so much of the labour required to sustain it lies invisible below the waterline. Both are keen to emphasise that they’re not singling GI out, that it is just one example among a growing proliferation of biennials and festivals. Nicoll explains that GI has provided a platform for discussing issues surrounding the wider culture of unpaid labour in the arts. It has also offered an opportunity to “make change from a position of understanding the terrain” within their own community while raising awareness of “the untold emotional cost” of unpaid labour in the arts more generally. For Rutherford, instigating change requires collective action, and since artists often operate as individuals “we’re not really thinking collectively as a workforce”. Again and again artists have confided in Nicoll and Rutherford about their GI experiences, sharing anecdotes of strained friendships, favours that overstep the mark, emotional burnout and, in extreme cases, artists taking out overdrafts to produce their self-funded shows. 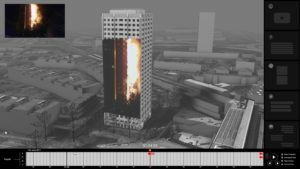 Having expended a lot of energy during this year’s GI, both artists now need some time to consider the statistics they’ve gathered and to work out how best to make use of them. In the meantime they offer various potential solutions. These include campaigning for a basic citizen’s income and that artists carefully scrutinize their own ethics and responsibilities towards the communities they practice within. In certain circumstances this comparison can help artists, but it has limitations. 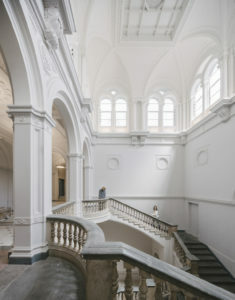 Many of the strategies Nicoll and Rutherford are currently discussing require artists to withdraw their labour, but they are aware this would need an unprecedented consensus to be reached within the community; and that this is particularly difficult when artists are “willing to self-exploit to get the exhibition, the opportunity”. The underlying idea that artists trample on each other to get ahead resonates with deep-rooted fears that most artists are likely to have. Everybody is compromised to varying degrees, either by having an education, time, money, ambition or some other resource that can be dedicated to making work. 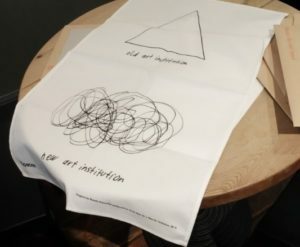 Rutherford states: “If you don’t think there’s a problem, you’re part of the problem.” It’s a comment that is probably intended to galvanise support for the cause but doesn’t invite cooperation between artists; instead it divides them into those who have been given opportunities and those who haven’t. If being able to take your mind off the problem for long enough to make work is a privilege, how can artists justify the compromises required to protect the few spaces in which creative and joyful experimentation happens? Morale is crucial. It enables artists to keep working, whether at the margins or at the centre of the art establishment. Constructive criticism is helpful, interesting and valid, but when it’s an opportunity to vent rage it fails to be productive. Rutherford describes In Kind as “opening up a can of worms”, explaining that her discussions with artists have aired such a wide range of concerns about how power and visibility are unfairly divided across the artistic community. For GI, the discussion and debate surrounding In Kind has so far been hosted by Glasgow arts organisations such as Platform and CCA. Perhaps expanding this discussion into forums beyond the artistic community might gather more support from artists by focusing the debate into practical aims and objectives rather than a collection of aired grievances. 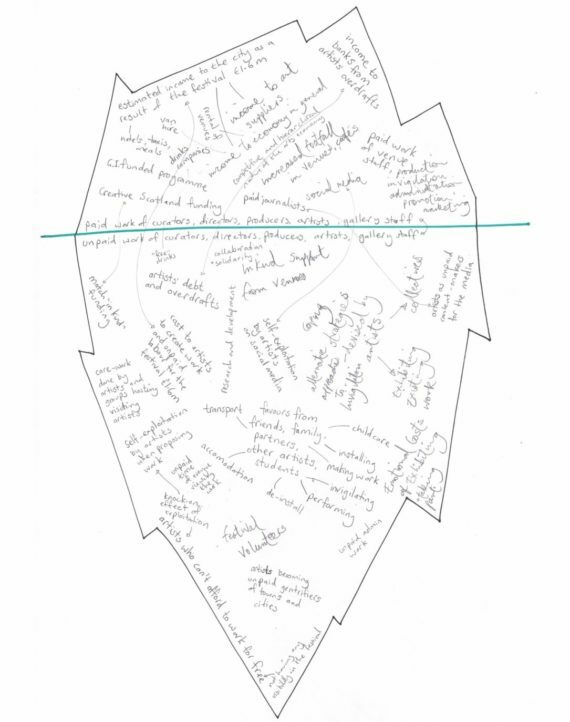 Rutherford’s question, “Who pays for this extra work?” is a sticking point, but as an artist who is passionate about civic activism and the potential for positive change through democracy, she is more equipped than many to make use of the political channels that are available. For many of the artists who contributed to In Kind during GI, it’s the first time they’ve calculated the unpaid hours they’ve worked. And that is a valuable gift in itself.